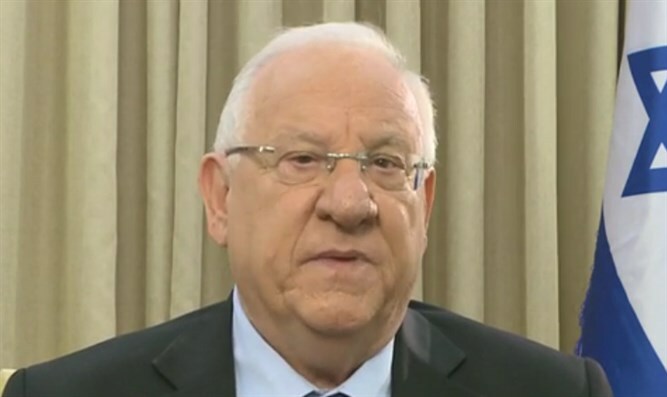 President Rivlin responds to Negev terror attack, calls on Arab leaders to work with Israel to prevent terror. Responding to Wednesday morning's terror attack in the Negev, which killed First Sergeant Major Erez Levi, Israeli President Ruvi Rivlin said, "We are in the midst of a terrible incident, in which 1st Sgt. Erez Levi was murdered by a terrorist in a abhorrent terror attack. At this difficult time, all our hearts are with his family and we pray for the speedy recovery of the injured policemen. "I spoke this morning with Chief of Police Roni Alsheikh, and with Arab regional authority heads. We must differentiate in the clearest of ways between the terrible terror attack carried out this morning, and the actions of law enforcement in demolishing the illegal buildings. "We must fight terror with an unwavering and firm hand, wherever it is found. I turn to all leaders across Israel, particularly in the Arab community, and say this is a stressful and difficult time, and we must all work together and do everything in our power to bring calm, in words and in actions. "The situation of the Bedouin community in the south is a national and civil challenge, which has stood before Israel for many years. We must find a solution and a plan to deal with this burning national, social, and civil issue – before it is too late."